50 days old Government is taking some amazing steps for improvement in every possible area. PTI government has always been appreciating the efforts of overseas Pakistanis and has always given them importance. Now as it’s their Government so they have started taking special care of overseas Pakistani’s as Government see them as one of the biggest asset of Pakistan. The new Government has announced following for the overseas Pakistanis. 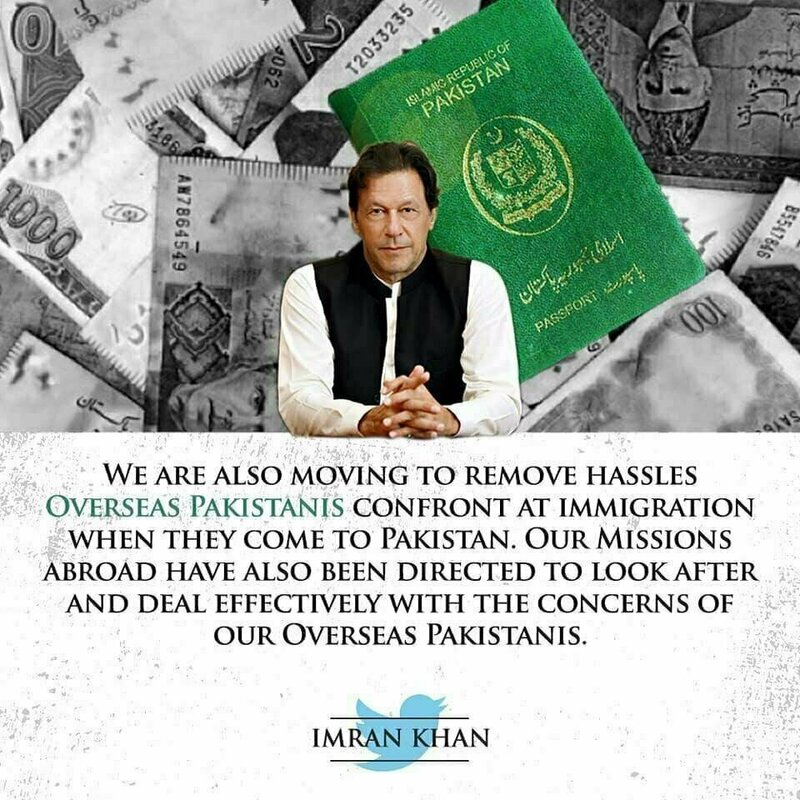 Steps will be taken to remove hassles overseas Pakistani face at immigration when they come to Pakistan. 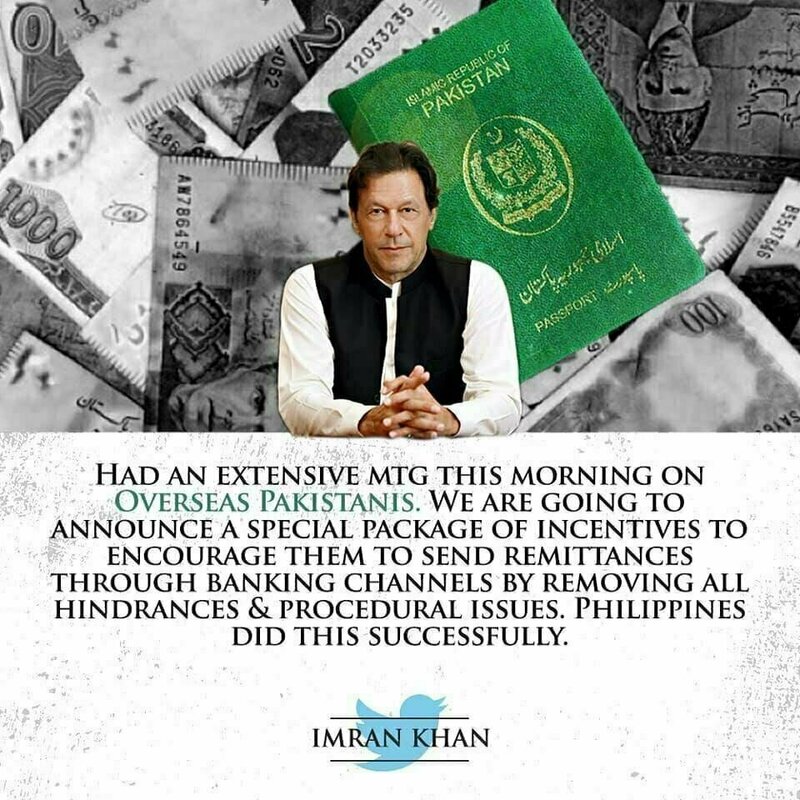 Special Packages will be announced for overseas Pakistanis which will encourage them to send the remittances through banking channels by removing all the hindrances and procedural issues. Steps will be taken to look after and deal effectively with the concerns of overseas Pakistani. Government is going to ensure protection for the overseas Pakistani’s properties and land especially form land mafias. By removing these hindrances the remittance to Pakistan will increase from 20 Billion dollars to 30 Billion and can even reach 40 Billion dollars. The new government is seriously taking some wonderful steps to make Pakistan a better and peaceful place to live and every step taken so far is in positive direction. The attitude of the government is bringing a clear change in Pakistan which people of Pakistan have been waiting since long. Lets see how these steps will make life easy for an overseas Pakistani.